If you are a user of Oracle E-Business Suite and are continuing to have problems with your master data, then it probably goes back to the time when you first implemented it. It is not an uncommon problem. Most systems integrators did not pay too much attention to data quality. However, you are now left holding the bag. You are the one that is dealing with the consequences of poor data quality in your day to day operations. It is not too late. Read about our story to understand why you can still fix the problem. It would help you appreciate why an MDM program will NOT cost you an arm and a leg and it will help you build a business case much easier than to justify a seven-figure investment. It will also help you appreciate that if your waiting for the Cloud to magically solve all problems, then it is not going to happen. If you solve the problem now, it will also help you move to the cloud. 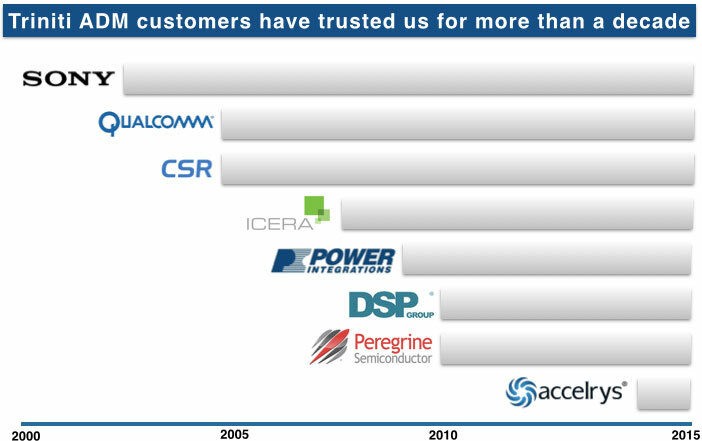 Our story started in 1995 when we were tasked with implementing Oracle ERP at Lucent Microelectronics ( AT&T Microelectronics then) in Allentown, PA. We were required to integrate all their internal factories, foundries and Sub Contractors into a single instance to be the single source of truth for the entire company. While Oracle has the deep capability for business processes and inter department integration, it is easily susceptible to bad data. That would destroy the objective of the entire ERP implementation. Good data is at the heart of timely, reliable, accurate, and complete information and is the bedrock of data-oriented decision making. Good Master data, is a prerequisite for good data. 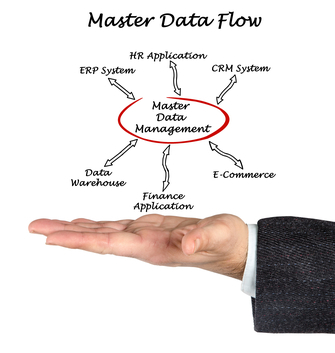 To generate good master data, the following attributes are mandatory. No gaps between data in the ERP and data in the MDM. Since Sony Semiconductor went live, many other customers have used Triniti’s MDM to create and maintain high quality master data. They include Qualcomm, Power Integrations, DSPG and Peregrine Semiconductor. With Triniti’s MDM you can achieve the benefits of zero latency enterprise to make faster, and reliable decision making. Armed with error-free transactions in your ERP,CRM, etc, you will be able to avoid pitfalls of not meeting program expectations. Since we have solved the problem, you can leverage our experience and our tools. The integration is 100% reusable and is robust. The backbone is a framework and not a custom solution. It has continued to evolve as technology has evolved, that is illustrated by our ability to integrate with SFDC and demonstrate that we can quickly adapt to the Cloud. This is what enables you to acquire industrial strength MDM capabilities at a very affordable price from us. We also save you considerable time during implementation by reading YOUR configuration and not just configuration based on the VISION database. If you do not solve the problem now, then not only will you continue to bear the consequences of poor data quality, but you will either carry it to the cloud, or will impede your move to the cloud. On the other hand if you do it now, then your move to the cloud will be clean. You would stilll have to worry about MDM being a part of cloud, but if you go with us, we will ensure that we are integrated to your cloud platform as well. Triniti MDM provides out-of-the-box support for Oracle E-Business suite and SFDC for Product, Customer, Supplier, and GL Chart of accounts structure including GL Account and Cost Center. Check back! We will update our content as we release more domains. Gain 80% productivity improvements and 100% accuracy using the Triniti Product Modeler (TPM). As an Oracle ERP user, you labor through multiple screens to create a basic supply chain. After all that laboring, your confidence of data accuracy is still low. Disclaimer : Gartner does not endorse any vendor, product or service depicted in its research publications, and does not advise technology users to select only those vendors with the highest ratings or other designation. Gartner research publications consist of the opinions of Gartner’s research organization and should not be construed as statements of fact. Gartner disclaims all warranties, expressed or implied, with respect to this research, including any warranties of merchantability or fitness for a particular purpose. Most likely, you use Alerts and reports to validate accuracy and completeness of data. You are probably used to this daily routine and assume it is part of using Oracle. It does not have to be. They lead to inefficiency and constant firefighting. This is costing you time and money daily, and you probably do not even know it. TPM can be configured to your specific industry. The screenshot below illustrates a semiconductor supply chain bill of material with multi-segment flexfield. It provides complete supply chain visibility. You can view and edit on the same screen. You can set rules for setting values in the fields. These rules enforce policies and ensure governance. TPM represents a new class of products called ADM which focus on bringing MDM features of governance and stewardship to specific applications. TPM is an ADM for Oracle E Business Suite master data. Customers, small and large have validated it. TPM can manage just the EBS relevant data for Oracle Product Data Hub (PDH or other MDM) customers For others, TPM can be your exhaustive Product data hub solution (Sony Semiconductor case study). Sends data to Oracle only when all attributes of the Supply Chain Bill including Item, BOM, Sourcing Rule are completed. Reduce time and effort required to build complex BOM and sourcing structures by 85% or more. Ability to create, edit and view all Master Data across multiple orgs. Highly configurable to match changing business requirements. Timely, Reliable, Accurate and Complete Master Data significantly improves processes associated with Manufacturing, Planning, Financial, Marketing and Sales. Powerful tool to aid in troubleshooting planning issues. Provides means to monitor real time production plan execution. Low cost of ownership (OAG compliant). Single-Screen Interface for fast and easy multi-level supply chain creation. Contextual Data Validation for reliable information. Learn which application should I focus on? Triniti's Master Data Management software for product data in Oracle Ebusiness suite allows users to build the entire supply chain bill, including Items from a single user interface. In repeated observation, we have seen it improve productivity by 6 times and reduce errors 100% compared to maintaining all product related information in Oracle directly or the Oracle MDM. You can create Bills of material, alternate bills, substitutes, co-products in multiple organizations without having to go to multiple screens. T-P-M supports all types of sourcing that are natively supported in Oracle EBusiness suite. Unlike other MDM’s, with T-P-M you can also maintain all other entities including Items, item attributes, item categories, routings, all descriptive flexfields on the same screen. T-P-M leverages Triniti’s industry leading application data framework to create reusable supply chain templates to simplify metadata management. Play the video to know about Triniti Product Modeler. Achieve 75% productivity improvements and 100% accuracy using the Customer Data Management (CDM). As an Oracle ERP user, you labor through multiple screens to create Party, Customer Accounts, Customer Sites, Contacts. After all that laboring, your confidence of data accuracy is still low. The Oracle Trading Community Architecture (TCA), is a powerful data model to describe a customer. However, the user interface is very complicated. It also lacks governance. Many Oracle EBusiness suite customers also use SalesForce.com (SFDC) to manage their sales funnel, requiring at least two systems to have a record of a customer account. You may not have integrated them to have a single source of truth. Upset customers getting redundant messages or solicitation offers from multiple channels. Most likely, you use Alerts and reports to validate accuracy and completeness of data. You are probably used to this daily routine and assume it is part of using Oracle. It does not have to be. They lead to inefficiency and constant firefighting. This is costing you time and money daily and you probably do not even know it. You can use CDM, a tool designed and validated by end-users. Thanks to CDM, they spend more time on operations than worrying about data. With it, you can perform various operations to create & maintain customer data in Oracle eBusiness Suite. Create customer with less effort, less time and more effectively and efficiently with a single screen. User Interface more intuitive and less confusing than Oracle EBS and Oracle customer data hub(CDH). Representation of a customer in a hierarchical and intuitive way ensuring ALL data is captured accurately. It costs significantly less to own, implement, train and support Triniti CDM than Oracle CDH and other conventional HUBs. The screenshot below illustrates Customer Hierarchy. You can view and edit on the same screen. You can set rules for setting values in the fields. These rules enforce policies and ensure governance. The screen shot below illustrates Site Locations in Google Maps. You can view existing site locations or add new site locations, activate and inactivate site locations from this screen. CDM represents a new class of products called ADM which focus on bringing MDM features of governance and stewardship to specific applications. CDM is an ADM for Oracle E Business Suite master data. If you are an Oracle eBusiness Suite customer and are having problems with managing customer data because of usability issues and lack of governance, then Triniti Customer Data Management is the ideal solution for you. Play the video to see how it solves these issues. Triniti Customer Data Management manages customer data in Oracle EBusiness suite and Salesforce.com by seamlessly integrating the two applications. Play the video to see how it manages customer data. Triniti's Customer data integration allows Oracle EBS and SalesForce.com (SFDC) users to import customers, opportunities, sales orders, and invoices from legacy systems. It manages the entire workflow of uploading raw data, massage missing data, perform data quality checks including deduplication and the finally importing them both into Oracle and SFDC. After import it also allows you to merge the deduplicated customers in both Oracle and SFDC automatically. This ensures that survivorship is ensured not just in Triniti MDM/CDM but also in Oracle and SFDC. As Triniti MDM has flexible workflows for approvals and routing, Triniti CDI also inherits those customizable features that do not require coding. 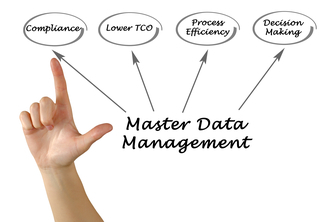 Triniti CDI is part of the Triniti Master data management solution. Triniti CDI fosters faster integration for Mergers and acquisitions (M&A). Play the video to know about Triniti Custom Data Integration.